When talking about South Philly diners, there are plenty of options available for customers, But this time of year, we always ask SPR readers to pick their favorite diner. Year after year, it’s clear SPR readers overwhelmingly prefer the Penrose, 2016 Penrose Ave., as the №1 option. “Obviously it’s a great honor, but it’s also a credit to the great staff and customer base we have,” Bill Dovas, general manager of the Penrose, said. “It creates such a great atmosphere that people love to come back to that. There is plenty of room, too, as the Penrose has seating for close to 250 guests. Like most diners, eggs and other breakfast items tend to be the more popular items, but the success is result of taking an around-the-clock approach in which the dinner menu receives the same amount of attention as the first meal of the day. “We broaden our horizon by giving people more of a restaurant experience at dinnertime,” Dovas, who started as a dishwasher. said. He noted that chicken parm, turkey dinners and other comfort food items tend to be popular sellers. The Penrose, which is owned by the Kolovos, Baroody and Dovas families, also offers regular specials to customers. 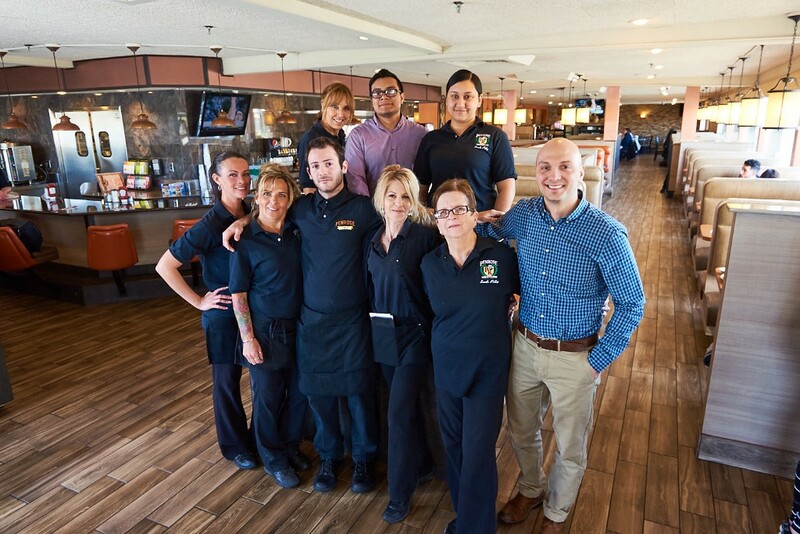 The diner, which has been part of the Packer Park landscape for decades, relies on its staff of 85 to 90 employees to help maintain its winning reputation. The Oregon Diner took an order for second place while Melrose plated a third-place serving.